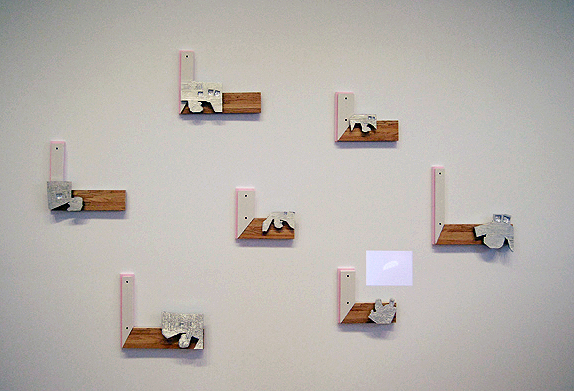 machined aluminum, oak flooring, drywall, insulation foam. 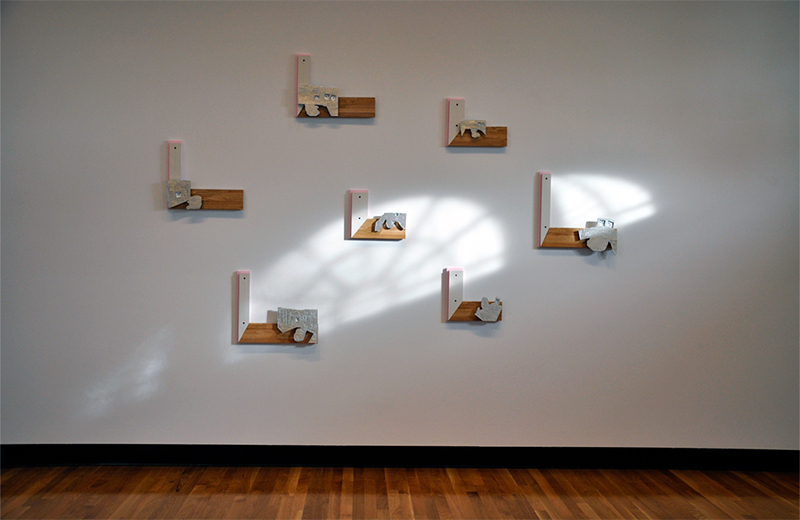 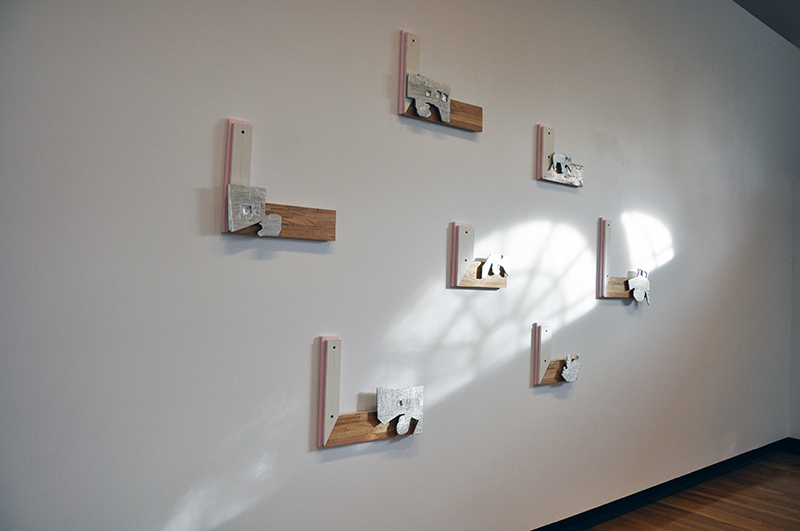 A series of digitally modeled time-lapse animations mimic the shifting light from a window across the gallery wall. 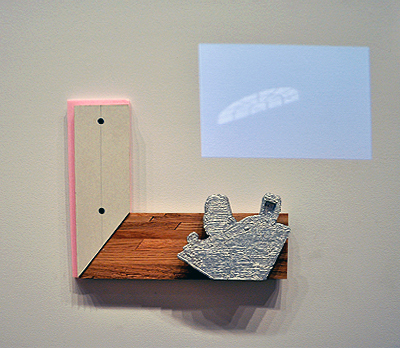 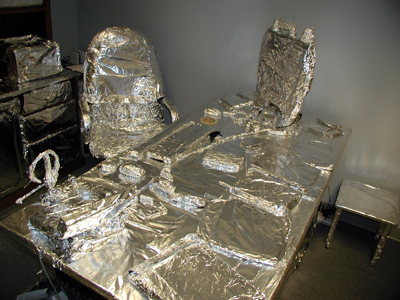 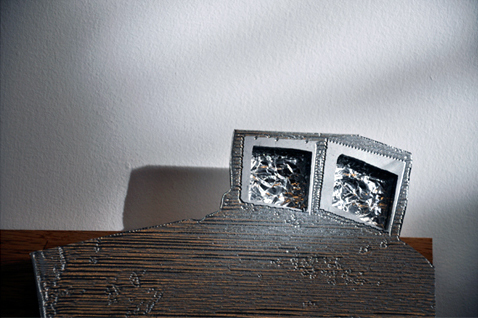 The machined aluminum objects represent found internet images of office spaces covered in tinfoil.